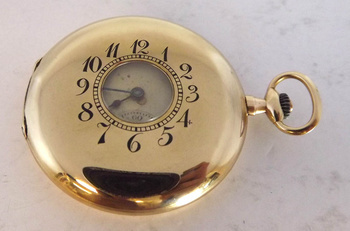 In Pocket Watches > Show & Tell. 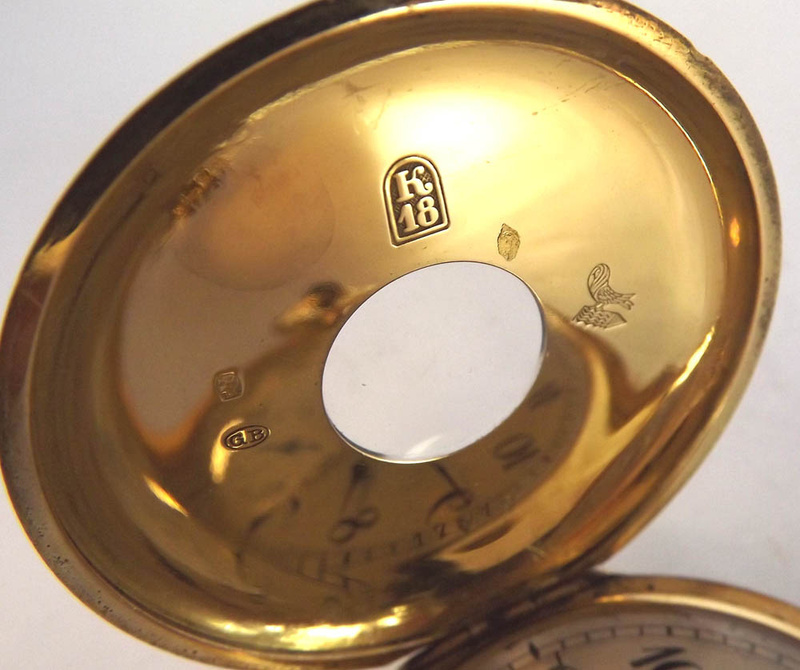 Your watch is 18k solid gold and was made by G. Braillard, Chaux-de-Fonds, Switzerland. 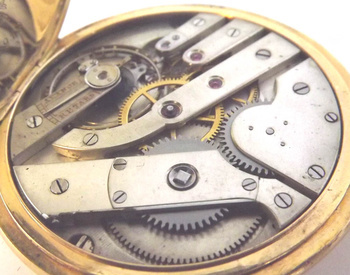 It is called a "demi-hunter" because of the small hole in its cover. 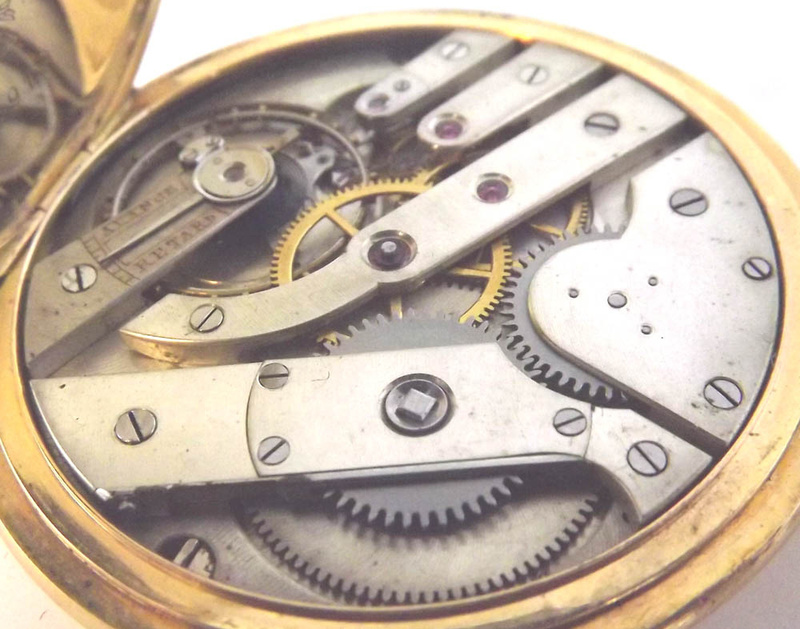 It has the correct double hands for telling time when the cover is open or closed. 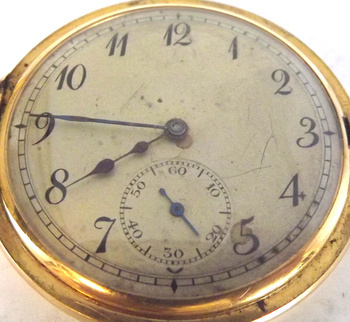 It was made sometime in the late 1800's (1897). 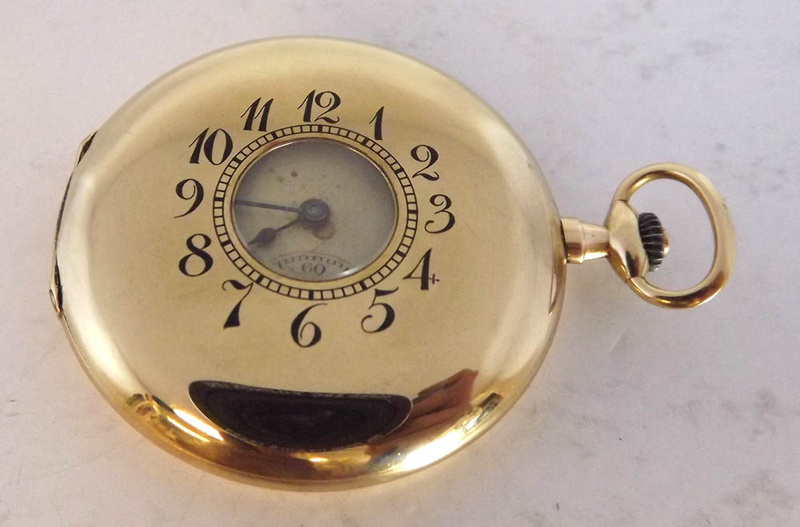 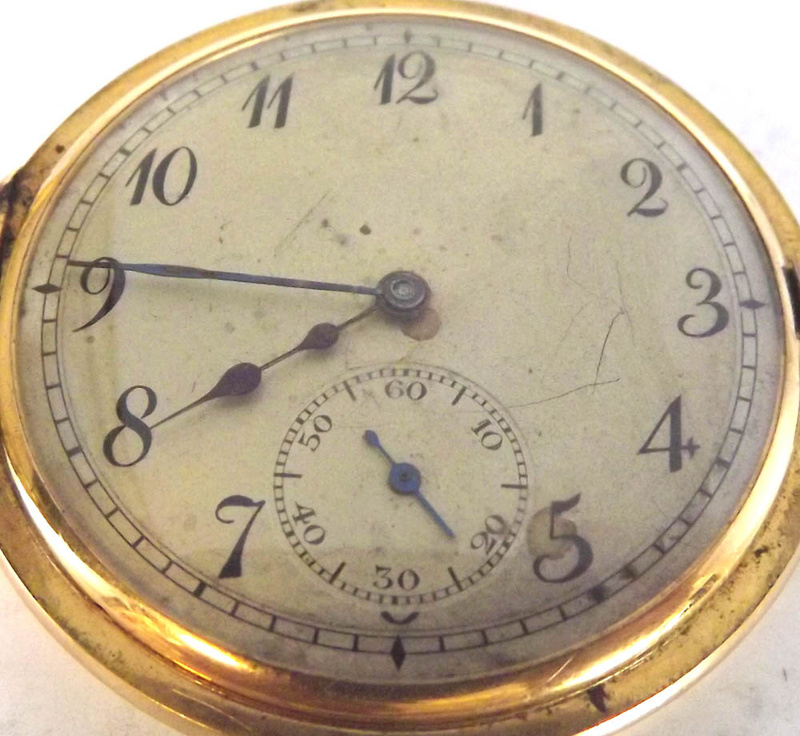 It is a very nice and highly collectable pocket watch.